If your child has a way with words or loves to be in the spotlight, help inspire her with this Historical Heroes worksheet about famous African-American playwright Lorraine Hansberry. Her contributions to American drama are considered by actors and directors to be some of the greatest in our country's history. 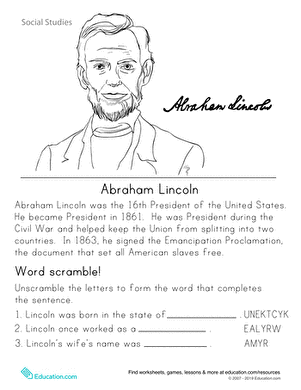 Get inspired: there's more Historical Heroes worksheets Here. Help your child learn more about famous American, Benjamin Franklin.